Since the early 1960’s, F3A aerobatics has often been considered as the pinnacle of radio control disciplines. From control using reed sets, through proportional radio, rate switches and finally to computer sets and 2.4GHz, the models have evolved into the high quality, factory produced items that retail for many hundreds, possibly, thousands of pounds. In the early days, pilots looking for the perfect aerobatic airframe, rolled their sleeves up, took up paper and pen and set to designing their own. After each World Championships, it was often the winning design that was introduced into the local plans service so that us mere mortals could try and emulate the performance of the Masters of the art of aerobatics. Foam wings and tails were regularly available from a number of sources, and, armed with a load of balsa from the local model shop, we would enter the model workshop over the winter to produce next years competitive model (or two if you were really keen!). Radio’s and engines were readily available and could be purchased locally and so a year’s competitive flying could be obtained for a reasonable level of investment. These days, airframes are produced by a few specialist manufacturers, predominantly in the Far East, with designs changing every two years or so to match the ever increasing complexities of the new schedules. 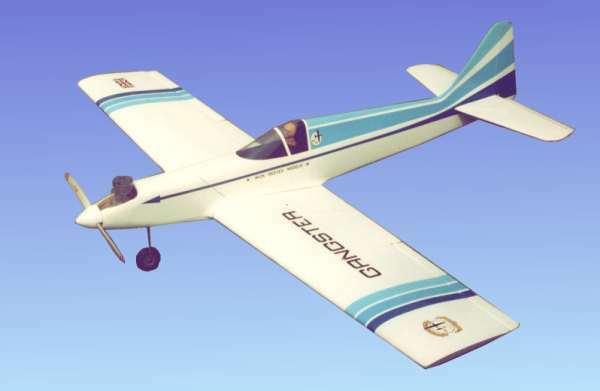 Added to that the cost of equipping these models with the latest servos, motors and battery packs (F3A is almost wholly electric these days), then the cost can be prohibitive for many prospective aerobatic flyers. 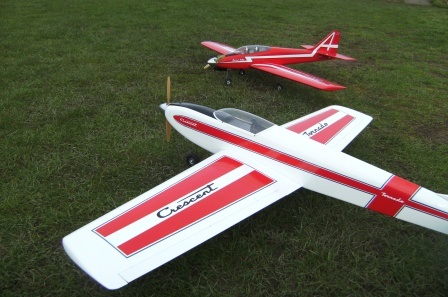 In recent years, Paul Bardoe has sucessfully resurrected the interest in vintage aerobatic models by the re-introduction of the Bullet, Tornado and Chevron models from the ‘70’s. To reinforce this resurrection, three 'retro' fly-in’s have been held, two at Sleap Airfield in Shropshire and one at Stow Maries in Essex. 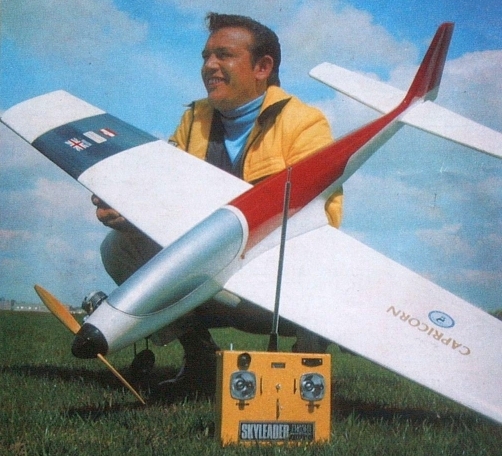 The popularity of these events has prompted the suggestion that the flying of this type of model should be put on a more formal platform as some have suggested some low-key competitions/fly-in events should be held regularly. What age group qualifies as a UKCAA classic? It would be idealistic to assume that radio sets from that era would be resurrected and used in these times of 2.4GHz and 35MHz. However, in 2012, Stuart Foster came to the Festival of Flight event with several models equipped with radio from the era but with one twist, they had been converted to 2.4GHz. However, modern computerised radio sets can and should be used. Advanced (for the time) radio systems were used by the top pilots in the 1980's and are therefore well within the spirit of the UKCAA aims. With modern F3A models using servos each costing over £100, it is refreshing to know that the models we are considering here are quite happy with the simplest of servos with ball bearing outputs. Indeed, it would be simple to kit out one of the classic models for the cost of just one servo in a modern day model! Modern low cost 2 stroke engines are typically more powerful that their period tuned counterparts and can be used as a direct exchange as it is unlikely that period engines will be readily available. The addition of a Tuned exhaust system from suppliers such as Just Engines or Weston UK would add some additional power with the benefit of improved silencing. For the group to prosper, it needs pilots and builders who will encapsulate the aims of the Association and produce these wonderful period models and contribute by attending events, promoting the association and perhaps providing articles and photographs for the website. We look forward to seeing and hearing from you.